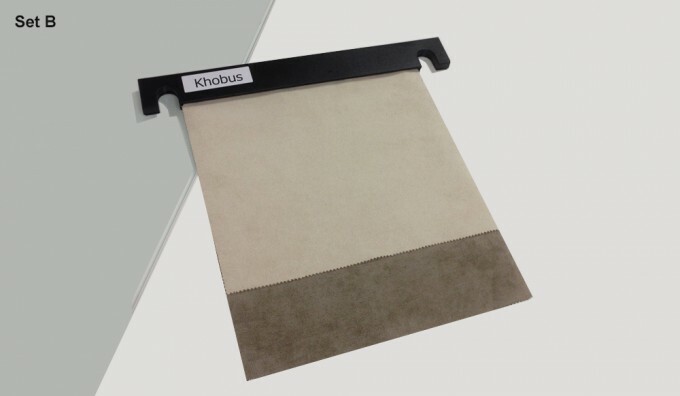 These are set B fabric samples for "Khobus" brand products. These sample are free to order. NB: Image shows a selection of fabric options available. Novatex microfibre Italian jacquard fabric.